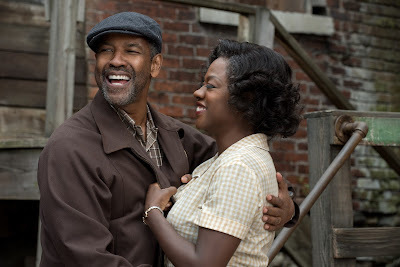 Awww....Hollywood royalty Viola Davis and Denzel Washington have sent us an early Christmas gift this year, in the form of the teaser trailer for the film adaptation of FENCES. And it has exactly what you hoped it would: an intriguing representation of the narrative, Davis's renowned cry face, and one of Washington's epic speeches. I kid (kinda), but FENCES looks to be another compelling contribution (and likely Oscar contender) to the vast variety of black storytelling we're seeing lately--and derived from none other than Pulitzer Prize-winning playwright, August Wilson. In case you missed it, here's a recap of the story from an earlier post.